For quite some time, we've been hearing about the potential advantages of the Bluetooth Low Energy (BLE) spec, and a seemingly endless list of gadgets that could benefit from it. Unfortunately, while many modern flagship devices are equipped with the necessary hardware, Google has allowed the Android OS to languish without official support for the standard. Most of the top OEMs have built their own proprietary versions for the energy efficient protocol, but until now, only Motorola has freely shared access to its API. 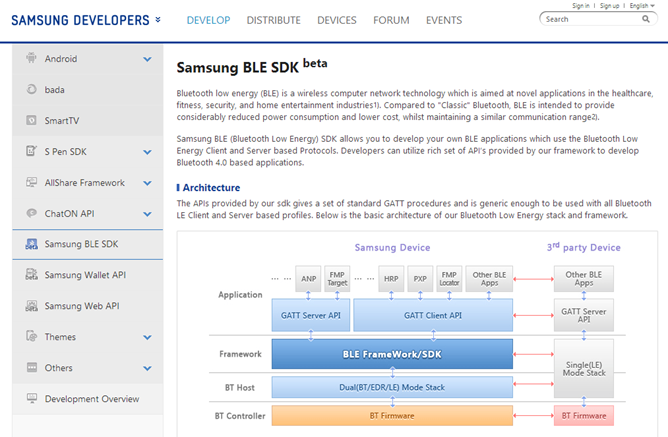 However, that changes today: Samsung is taking its BLE SDK public. Since building their own custom frameworks, both HTC and Samsung have required developers to submit applications for access to the SDKs. This procedure isn't unheard of for medium-to-large software companies, but it is very unconventional for solo developers and hobbyists. A possible reason for this practice may have been to give Google an opportunity to launch an official API for Android, or it could have simply been about collecting a list of potential partners. HTC would appear to be the sole OEM remaining with a partners-only policy, but the Taiwanese manufacturer may have already planned a public release in the coming weeks. 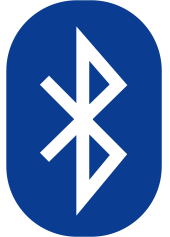 A session scheduled for AnDevCon in May titled "BLE (Bluetooth Low Energy) Is Finally Here for Android!" is featuring an HTC representative, Dario Laverde, and technical aspects of building for the company's implementation. This is far from conclusive proof, but it makes for pretty good odds. While these releases are generally a good thing for developers aiming to interface with gadgets like the Pebble smartwatch or the Amiigo fitness bracelet, it also carries the burden of forcing app makers to support each OEM separately. Once Google adds its own official API to Android, devs will be expected to support no less than 4 separate variants. Of course, most people would agree that support for the Low Energy profile is already very late to the party since Apple has had the feature starting with the iPhone 4S, launched 18 months ago. It's possible the delay may be attributed to the long-planned replacement of the Bluetooth stack in Android 4.2, but that only excuses some of the wait. I'm sure Google is well aware of the demand. As a reminder, both Samsung and HTC label their SDKs as beta, so some things are liable to change. If you would like to start integrating Samsung BLE connectivity into your app, hit the links below for details.